He is also working on a fifth, which will be a memoir about the Nonhuman Rights Project. 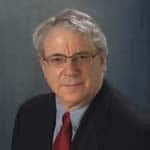 He has authored numerous law review, encyclopedia, and popular articles. His work for the legal rights of nonhuman animals was highlighted on Dateline NBC and was the subject of the documentary, A Legal Person. He regularly travels the world lecturing on animal rights jurisprudence and the Nonhuman Rights Project, and is a frequent guest on television and radio discussing animal rights law and the Nonhuman Rights Project. Caryn Hartglass: So today we have a guest that I am really looking forward to speaking with. Steven M. Wise, Esquire, has taught at the Harvard Vermont and John Marshall Law Schools. He’s president of the Center for the Expansion of Fundamental Rights which he founded in 1995. His latest book which we’re going to talk a bit about, An American Trilogy: Debt, Slavery, and Dominion on the Banks of the Cape Fear River, examines a cross section of America to expose the undeniable link between human and animal torture. His focus is the small town of Tar Heel, North Carolina, which currently houses the world’s largest slaughter house and which once witnessed the slaughter of the African slaves and Native Americans who worked this land. He’s written other books including Rattling the Cage: Toward Legal Rights for Animals, Drawing the Line: Science and the Case for Animal Rights, and Though the Heavens May Fall: The Landmark Trial That Led to the End of Human Slavery which graced the cover of the New York Times book review in 2005 which probed the roots of animal and human rights law. Steve Wise lives in Coral Springs, Florida, and you’re with us, are you not? Steve Wise: Yes I am. Thank you for having me. Caryn Hartglass: Hi. Thanks so much for being here. Just want to say this will be a recorded show and so we won’t be taking any live callers today. Okay Steve, so I have lots of questions for you today and I’m really looking forward to finding out more about you. I’ve read your book An American Trilogy and we’re going to talk quite a bit about it. It was a very moving piece. Caryn Hartglass: So first I always like to ask my guests how you got started, how you got on this path to where you are today where you got interested in animal rights. Steve Wise: I read Peter Singer’s book Animal Liberation. Caryn Hartglass: And when was that? Steve Wise: 1980. 29 years ago I read that and at the time, I was a young lawyer. I’ve been practicing law for 4 years, various, just kind of a general law practice. I read his book and I had come to the law because I’ve been involved in a different anti-war movement. I’ve been involved in the anti Vietnam War movement throughout my college days and I had decided that I wanted to go to law school because I wanted to work on issues of justice, social justice. When I read Peter’s book, I realized that there was no place in which things were more unjust in the way that humans were dealing with non-humans which I really never thought about before. I decided that if I wanted to make the largest mark in the area of social justice, then maybe I should become an animal rights protection lawyer and over the years, I did just that. Caryn Hartglass: Well good for you because the animals certainly need you and what a lot of people don’t realize is what you do for the animals really benefits all life on earth, not just the other species but us as well. Steve Wise: Well that’s the focus of some of my earlier books. When I wrote Rattling the Cage I talked about why it is that non-humans, that at least some of them, should have certain fundamental legal rights. I argued that it’s for the same reason that humans should have them to the extent that humans denied deserving non-human animals fundamental rights. They actually undermined the grounds for giving them to ourselves. Caryn Hartglass: You mentioned that you never thought about it until you read Peter Singer’s book. Why do you think that is? Steve Wise: Well, I just grew up in a society in which I had my mom serve me whatever food she was serving. She was always serving meat for meals. She had a mink coat. I never really saw animals. I had dogs and cats and obviously we all loved our dogs and cats but outside of them, I never really had any contact with them except with respect to eating them. I just really never thought about it which is why when I talk to people who have never really thought about it, I can really understand. Although it’s harder in the year 2009 to claim that you’ve never thought about animal rights issues or how we treat animals because it’s in the news all the time. Caryn Hartglass: It’s not on the news as much as I would like but it’s there. People know about it. Steve Wise: When I was growing up, it really was not there. Certainly when I started practicing animal protection law in the early 1980’s there wasn’t much there. It was a significant victory just to be able to have something or some item appear in the newspaper, on TV, or on the radio and there were certainly no shows like yours at all. There wasn’t anything close to it. Caryn Hartglass: So was there anything in your upbringing that got you interested in social justices for people and why you wanted to become a lawyer? You mentioned you were involved with the anti-war movement. Steve Wise: That’s what really did it. I think all the way through the first year of college, I pretty much viewed my first year of college as my 13th year of high school. Then I began by getting involved in the anti-war movement and that kind of opened my eyes to all sorts of issues with social justice. I became a very different sort of person. I remember, my goodness, almost like ancient history now, leaving school at Kent State which was 1969 or 1970 to lobby in Washington to try to end the Vietnam War. Those were the days in which I began to really think about issues of social justice and why I decided to go to law school. In fact, I remember I applied to probably 8 law schools and the one I actually went to, Boston University, was the only law school in which it had required that the Dean of Students at your college submitted a letter of recommendation. All the other ones just said you had to submit 2 or 3 letters of recommendation. I almost did not apply to Boston University because the last time that I had seen my Dean of Students was when I was occupying his office and taking over the administration building. I remember writing him a letter saying I want to apply to this school, bygones be bygones or not because if they aren’t, then I’m not going to bother to apply. And he actually wrote me a lovely letter of recommendation and said he understood that my interests in civil liberties have been of long standing. Caryn Hartglass: Very nice. Okay, so you’ve written a number of books and I want to save your most recent one for last. I haven’t read the other ones but I have read little snippets that I could find about them. Let’s start with Though the Heavens May Fall, is that your first book? Steve Wise: Rattling the Cage. Caryn Hartglass: Rattling the Cage, okay. You’ve included a number of stories in this book about animals and how human like they are. Have you experienced any of them personally or did you just research and find out about them? Steve Wise: Well in the first 2 books I wrote, Rattling the Cage and Drawing the Line, the reason I wrote them was because I got more involved as an animal protection lawyer and then began viewing myself as an animal rights lawyer even though non-human animals don’t have rights. What I’m trying to do was help create them. I realized that there was virtually nothing ever written out there at all about the issue. Not whether non-human animals could have moral rights and there are lots of books out there and there are more written by some authors like Peter Singer, Tom Regan, and others. But I think I had an epiphany one day when I used a legal research search engine and I put in the words Peter Singer and Tom Regan. Nothing whatsoever came out, which meant that not a single court had ever said the words Peter Singer or Tom Regan ever. That kind of solidified the concern I had that the animal rights movement was focusing on morals and philosophy and was kind of like becoming one large undergraduate philosophy class. But the judges were entirely separate and they were entirely outside the orbit. As a lawyer I understood that judges thought in different ways than philosophers and indeed most judges, I would hazard a guess, have never even taken a class in philosophy. What they do is they’re obviously trained in law. Caryn Hartglass: Right. How things apply to the law and not whether it’s right or wrong, philosophically. Steve Wise: Well they get some of that but they kind of get it secondarily. They’re not formally trained in logic. They’re not formally trained in philosophy. They’re trained in law. And law sometimes has something to do with philosophy and sometimes it doesn’t. It always has to do with right or wrong but the ways in which a judge might attack the idea might be very different than a philosopher. Caryn Hartglass: I don’t really want to get off the subject because talking about the way lawyers and judges approach law is a whole other subject. Steve Wise: Well then I’ll just move right on! Caryn Hartglass: No, but what I want to say is I like what we are talking about. Steve Wise: That’s why I wrote the books. Caryn Hartglass: I’m sort of getting off the subject. I think in most fields, when people specialize in something, there’s something missing. We find it in the medical industry where doctors are focused on one thing and they don’t think of the body as a whole. Steve Wise: I have debated many folks. In the earlier days I haven’t debated someone with respect to vivisection now in years. I don’t think they really want to debate me but in the earlier years they did. I debated folks who had won Nobel Prizes up in Boston in these areas. I found that the more prominent they were in the vivisection areas in biomedical research, that they knew more and more about less and less. So when I debated someone, I was not idiotic enough to ever debate him about the area in which he’d won his Nobel Prize. But I could debate him, for example, around relatively simplistic freshman Philosophy 101 ideas and they often times had little idea what I was talking about. I realized how incredibly specialized and narrowed these folks were. They were terrific theoreticians and technicians in their field but as to the uses of what they were learning about were being made of ideas of whether what they were doing was right or whether it was wrong in a moral way, they had never even thought about it. Caryn Hartglass: You know this is really interesting to me because I see so many parallels like I mentioned before. We talk about doctors all the time that are so specialized and how so few of them have any knowledge of nutrition, which is what we’re all about it at this show, It’s All About Food and how they rarely take a nutrition class in med school and if they do, maybe it’s 3 hours. So do you think lawyers should take some sort of philosophy? Steve Wise: Yes, I think they should. Lawyers themselves are kind of technicians as well but in the United States, as opposed to some other countries where you are actually trained not so much to be a lawyer but to be a judge. Our judges come from the ranks of our lawyers and so lawyers who are not trained in philosophy or moral issues become judges who are not trained in philosophy or moral issues. By the way, they’re not much trained in science either. They don’t know much about almost any areas of science. Many lawyers have degrees in political science. That’s why I am always so delighted when anyone in my animal rights jurisprudence classes tell me that they have an undergraduate degree in philosophy, biology, chemistry, or physics. I have an undergraduate degree in chemistry. Caryn Hartglass: I’m a chemical engineer, we can talk chemicals! Steve Wise: Right! And that has done me very well over the years. It’s only because I’m not afraid at all to dive into any scientific publication and try to get out of it what I could. So I read the journal Science and the journal Nature every week. I read Scientific American every month and I read the New England Journal of Medicine, trying to understand science and keep abreast with it. It’s been extremely helpful in my animal rights work. Caryn Hartglass: You brought up such a great point and I’m just thinking about all kinds of things now that are making so much more sense because so many of our laws, especially for food and nutrition, are created by people that know nothing about it. Steve Wise: I’m not sure which specific things you are talking about but it certainly would not shock me. One of the reasons I wrote the first 2 books, Rattling the Cage and Drawing the Line, which again now is called Drawing the Line: Science and the Case for Animal Rights, in which I am speaking to people all over the country but I’m also specifically speaking to judges who were just like people all over the country. People ask me what’s so special about judges and I say nothing is so special about judges. They are just like your Aunt Ellen and Uncle Harry. If you want to find out what a court is likely to rule on a moral issue, ask your aunt and ask your uncle, you will get a decent idea as to how they are doing it. All the other legal stuff is often times a way in which judges justify and acting what they believe is right. I’m not saying that in criticism of them. I’m not quite sure how else human beings are supposed to make moral judgements. So that’s how they do it. Rattling the Cage and Drawing the Line was meant to help judges understand why they should vote to grant at least certain non-human animals fundamental legal rights. Caryn Hartglass: So how did the legal academic community respond to these books? Steve Wise: Well they have responded very interestingly, actually very positively. When Rattling the Cage came out, I think there weren’t more than a handful of animal law or animal rights classes being taught at law schools. It was one of the catalysts for where we are now. I think there are probably 100 or 120 law schools that teach some permutation of animal law or animal rights. It was widely reviewed and it’s one of a few books ever to be reviewed simultaneously in the Harvard Law Review and the Yale Law Journal. It was the subject of conferences. It’s still used in many classes, using the entire book or pieces of it and it really did what I was hoping that it would do, or at least begin to do. It kind of catalyzed a ground swell of interest in animal law as opposed to moral philosophy. All these folks that I’ve been teaching, some of my students are now in their 40’s, they are going to start becoming judges and I hope that they remember what we talked about when the first animal rights cases start to come to them. Also the fact that there are so many judges and lawyers who kind of came out of the closet. That’s another thing that Rattling the Cage did. It caused prominent legal academics to kind of come out of the animal rights closet and say they think animal rights is a good idea too. People like Larry Tribe at Harvard, Alan Dershowitz, Cass Sunstein, and Martha Nussbaum started writing about it. Judge Posner, probably the greatest scholar judge we have who sits on the seventh circuit court of appeals in Chicago, started writing about my book. He and I still chat with each other. You could see he was not familiar with what I was doing and kind of intuitively was sympathetic to me. He didn’t really like the whole rights idea but you could still see he was sympathetic to animals. In fact, he sent me an email about 2 months ago in which he told me that his cat Pixy had sent her regards and had told him to remind me that mice do not have rights. Caryn Hartglass: That’s really cute! Rattling the Cages was one of the catalysts that began to make the study of animal law credible. Caryn Hartglass: Excellent. Well if I was awarding the Nobel Peace Prize I would definitely put you in the pool for a nomination. Steve Wise: Well that’s one! Caryn Hartglass: Okay so those are those couple of books. Again, where did you get the stories for the animals in these books? Steve Wise: All of the stories are stories I get by going places. Caryn Hartglass: So you’ve met some of these animals? Steve Wise: I studied elephants in Kenya. I studied chimpanzees in Uganda. I went to California to see Coco the gorilla and sea lions. I went to Atlanta to see Chantek the signing orangutan. I never ever write about animals, people, places, and labs that I have not visited, with the single exception of Louis Herman at the University of Hawaii. I wrote about 2 dolphins he had been working with and he refused to allow me to come out to his lab. I put our correspondence in Drawing the Line and I just saw that he was sanctioned about 2 or 3 months ago for actions that led to the death of those dolphins at the University of Hawaii. I suspect that may have been one of the reasons why he didn’t want me poking around the University of Hawaii but I don’t know. Caryn Hartglass: If more people read these stories about animals I think we would be in a very different place. Steve Wise: If I can say one other thing, what I talk about are the kind of the abstract legal issues of liberty and equality. I say that as a matter of liberty and as a matter of equality, it’s kind of over arching legal, good things that undergird so many of our rights. The reason they are important to non-human animals is that they are important to us. They undergird our rights, and liberty and equality undergirds the rights of non-human animals as well. I don’t really talk about how animals are human like. In fact, I’m not exactly sure what that means. But what I do is I talk about how they have cognitive abilities that would entitle them, either as a matter of liberty because of the absolute complexities of their minds, they’re entitled to rights or as a matter of equality. They are similar to us, to humans, who have rights in relevant ways. For the reasons that we would have rights, they would have rights. But I really just talk about, in fact I’m sure I’ve never talked about the fact that a non-human animal is human like. I’ll say they may have cognitive abilities that are similar to ours and the reason that’s important is that certain cognitive abilities that we have justify our rights. Therefore if A equals B and B equals C, then A equals C. The animals should have rights as well. Caryn Hartglass: Now how do you feel about animal welfare versus animal rights? Because I know there are a lot of non-profit groups that are trying to promote a variety of legislation to improve the welfare of animals like getting an extra inch in a chicken’s cage and so forth. Steve Wise: I actually support that. I think that the number of animals, especially farmed animals, who are kept in such horrendous conditions that we have both the responsibility to them to try to improve their horrendous lives. I have seen a lot of ugly things through many years and I feel we also have a responsibility to try to get rid of those conditions entirely. But I also understand that is in the future so I have these dual responsibilities to help those animals who are in desperate need now and to try and prevent that from happening into the future. Whether it’s five generations or 500 generations, eventually it all has to stop. Caryn Hartglass: Yes it does. Steve Wise: I have written about the fact that when you are advocating for a welfare position, you have to be careful that you don’t undermine a rights position. You just need to make sure that your arguments and your goals are not incompatible. That means you sometimes have to think it through. Steve Wise: So when people think it through, I think it certainly is possible to advocate both a welfare and a rights position. In fact, as a lawyer, I might call myself an animal rights lawyer, but I know I’m not an animal rights lawyer because animals don’t have any rights. So as a practicing lawyer, I actually call myself an animal slave lawyer. Animals are slaves within our legal system and so what I have to do is try to figure out how to help them within the confines of the system in which they are slaves and in which they are seen as things. All I do as a practicing lawyer is animal welfare law, animal protection law. But what I write about, and what I teach and lecture about is a legal universe that is still aborning. Where non-human animals or at least as many as possible, are no longer slaves or no longer things but are legal persons who have rights. I understand that the mental world in which I inhabit and the physical world in which I actually practice law are very different. I try to maneuver my way on behalf of non-human animals so they mutually support each other as best as I can. Caryn Hartglass: So now let’s go to your most recent book An American Trilogy. It’s a story about a place, Tar Heel, North Carolina. You do a wonderful job of tying together the history there of the Native Americans, then the slaves, and now the factory hog farms. Steve Wise: Well I’m glad you say that because many people who read the book either have no idea what I’m talking about or they do but it really makes them angry. Caryn Hartglass: But how could they not know what you’re talking about? It was so clear! Steve Wise: Well I thought it was. It’s because they suffer from the very problem that I am trying to attack, which in their minds, humans and non-human animals are entirely different universes. To try to compare them is truly apples and oranges for them and they just don’t see it. And then there are the ones that do see it and they are offended by it because they say “Oh my god, you’re comparing Blacks and Indians to disgusting pigs!” I’ve had quite a variety of very interesting and often times aggressive responses to my book. Actually, for the first time there’s been censorship of some of my book reviews. Even some law publications have refused to publish reviews of it. I remember one of them, it was unbelievable. The publishers refused to publish a review of the book because some of its readers might unreasonably believe that I was comparing Black people to hogs. But the fact that they might unreasonably believe it meant that they were not going to publish the review. Steve Wise: Well I’ve certainly seen the first two. Caryn Hartglass: Exactly, and I think we’re in the fighting stage. Steve Wise: I guess so. The winning part, I’ll have to see that. Although over the last 30 years, or I guess 29 years in which I’ve been doing this, the world both within the courtrooms and without the courtrooms has changed so dramatically. We are definitely on our way. As a historian who writes about the history of slavery for example, which is one of the things I am, I understand how hard it is to uproot, deeply imbedded social practices. There may not be a social practice that’s more deeply imbedded or ever has been more deeply imbedded than the kind of master-slave relationship between humans and non-human animals. Caryn Hartglass: Well one of the unfortunate things is that we’re in this hierarchical… I can’t even say it. Steve Wise: Yes, it’s not an easy word! Caryn Hartglass: Okay so this system of hierarchy. When one group gets liberated, there is still a sense to want to have something beneath you so that you can be uplifted. So as humans get out of slavery, and there are still some unfortunately that are enslaved, I think there’s still a tendency to want something below and that’s where the animals come in. Steve Wise: Well it’s going to be a long battle. What I’m hoping is that by the time I pass on to whatever ward I’m getting, that the first major legal crack has been inflicted on that system. The folks who come after me won’t have to make the first crack but they can concentrate on trying to widening it as much as possible. So my job I see, is trying to really administer that first blow that opens up the system into a significant enough degree so that others can begin to really widen it.